The Bruce Jenner Interview conducted by Diane Sawyer which aired April 25, 2015 on ABC was smart and sensitive. I felt very uplifted. This next morning I am surprised at how I feel this much more emotionally. I feel grateful and connected and inspired. I’ve been remembering all of the people who have passed through Miss Vera’s Academy in the 23 years since I founded the world’s first male to female crossdressing academy and how this interview is so healing for them and helpful to so many, of any gender. I posted some thoughts on Facebook, but I thought I would gather those here, and add more. 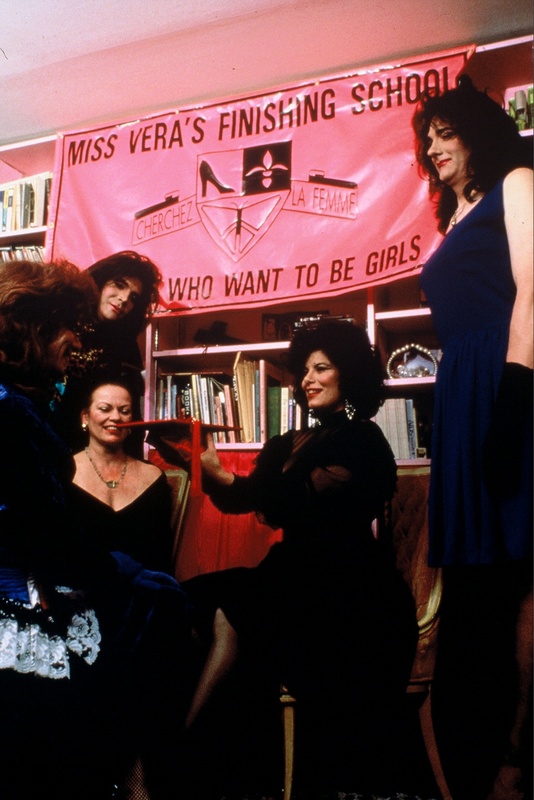 Early Days of Miss Vera’s Academy, circa 1995. I think Bruce Jenner has made it very clear she identifies as a woman, so referring to her as she comes much more easily to me. I recognize her. Jennifer Boylan who appeared and consulted on the interview also referred to BJ as “she” in her posts the next morning. I believe that the choice to use the male pronoun in the interview was to 1) to lessen viewer confusion and any negative feeling that might occur by using the female pronoun when Bruce was physically presenting as male; and 2) to save the she word for a big moment on BJ’s new show. We are definitely going to see an unveiling and big fanfare, for sure. And she’s gonna rock! So, I’ll stick to my use of she because, if not mainly for those two reasons above, that is how Bruce self identifies, she said so. Throughout the interview Bruce emphasized time: time to make decisions about surgeries; time to “re-emerge as myself.” Bruce may also want to time to stand up to world scrutiny when she presents as female. I can understand that. Right now, I feel more honest, and feel I am supporting Bruce more by using “she”, but given different circumstances, I could change my mind….it’s a woman’s prerogative. The parts of the interview that touched me most were the small moments, like when BJ said she just wanted to wear nail polish long enough to let it chip. Actually, from the moment Bruce let loose that ponytail I thought we might be onto something good, and we were. Just before the show aired I received an email from a student who I knew would be watching with his wife. I said “Tell your wife that Miss Vera says, not every crossdresser wants to transition, many cherish their lives as men.” I thought of that couple and so many others of my students who have shared some of BJ’s history but want to live in both worlds. I was glad when a statement that flashed across the screen made a distinction between crossdressing and transgender. Crossdressers are definitely part of the transgender community, though some might better identify with the word “crossgender.” I was also happy to see so many different people in the trans community represented, even if briefly. 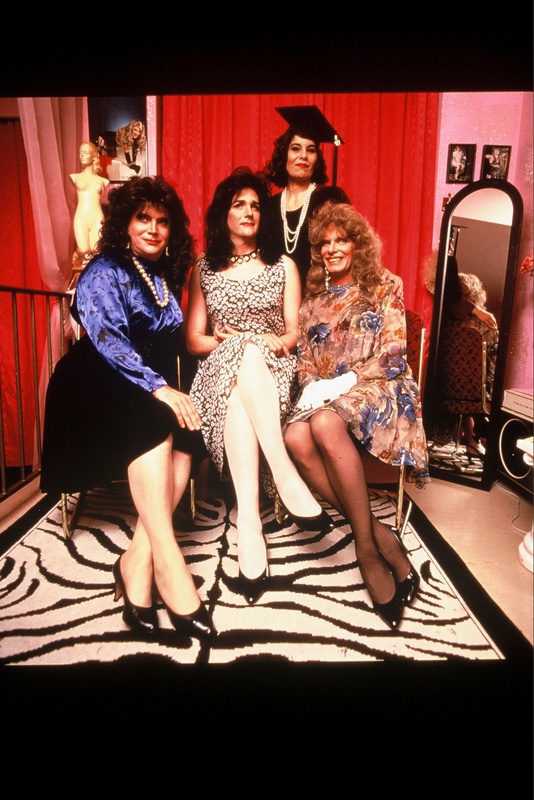 Many of the students who enroll at Miss Vera’s Academy are professionals, but in 20+ years as dean of my academy and ten years prior as a writer in the field of human sexuality, I have been privileged to know and to learn from many trans people from all walks of life, all economic levels, all places in their personal evolutions. I am grateful to them all and proud of what we, and so many others have accomplished together. In the midst of writing my third book, suddenly my task feels lighter. I feel especially grateful to Bruce Jenner, Diane Sawyer, ABC. They have put the power of the media to good use and raised public consciousness with informed intelligence. It makes my job easier and this world a better place.